The zombies were pretty cool. You had your generic zombies which shuffled about and chased you.. oh yeah.. these are running zombies btw. Some are “infected” so they’re pretty crazy and scream and bat you around like a kitten with a ball of wool. I’m guessing. I’ve never had a kitten. Some were even toxic. I haven’t quite worked out what’s wrong with them other than they look like they’ve got a giant fart lingering around them constantly. And I quickly discovered that standing on cars saved me from having to face my enemies fairly. Stand on a car, watch them drool over me from below, and take their heads off with a long-reaching weapon. That kind of took the fun out of it a bit, but it got to the point where I was SICK of being swamped and escaping helped me actually progress across the map 10x quicker than having to fight at ground level. The special zombies were a pain. Thugs are massive and throw their arms about which usually send me flying. They’re like a mini-Tank. Suiciders whisper sweet nothings in your ear and then when you’re close enough BOOM. They explode on you. I suppose they’re like a Boomer.. but way more lethal. Floaters are also exactly like Boomers.. they’re fat and throw up on you. Rams look like they’ve escaped a mental hospital and charge at you.. oh LOOK.. just like Chargers. And then lastly, you have the Butcher. He’s scary as hell. Let’s not talk about him. He can outrun me. But he’s like the Witch he just doesn’t need provoking. Huh. That’s quite a few similarities to Left 4 Dead already. Left 4 Dead is one of my favourite games. I can sit and play it for hours! 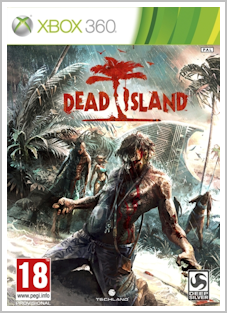 That’s not the same for Dead Island however. Other similarities include med-kits (there’s even an achievement which pokes fun at L4D’s), first-person camera, melee weapons (there are frying pans EVERYWHERE! ), co-op gameplay, etc.. However.. that’s about as far as you go with the similarities. Dead Island is much more RPG orientated and LARGE. I enjoyed the RPG stuff.. levelling up, choosing traits and upgrading weapons. My boredom came from those stupid side quests! FIND YOUR OWN BATTERIES! And those stupid glitches. The amount of times I got my car stuck between a tree or lamppost, or something INVISIBLE. At one point I even got one of the characters I was meant to be escorting stuck under some stairs! Thankfully I managed to lure a Butcher into killing her and unsticking her from under the stairs. It meant I died too, but I could finally progress through the story. Oh and the story.. Wait.. Was there one? Roaming the island as a lone player, NPC’s would refer to me as “you’s” and in the plural.. it wasn’t until the cutscenes I realised there’s three other characters meant to be running around with me. Obviously if I had co-op switched on it would make more sense. But still.. I didn’t realise there was an actual storyline. At all. Not until the very end which suddenly had a massive (but fairly easy) boss and everything I had done previously suddenly had relevance. I don’t know. Dead Island is a good game. It’s just you know.. Repetitive. And long. It took me 27 hours to complete it.. so you know.. a decent length for an RPG (OK, it’s not Skyrim..). And the weapons were cool, and the combat was decent. There’s glitches, which are always expected just not wanted. Maybe if I took my time rather than .. not rushing but playing it quickly (I was renting it), I would have enjoyed it more. Savoured it. It is a good zombie game, and there were moments when I had a jump and my heart was pounding. But it was outlived by the tedious.. CLEAR YOUR OWN GRAVEYARD OF THE LIVING DEAD!! Either way.. I am so glad I’ve finished it. Should I really feel like that after I play a game? Hmm.